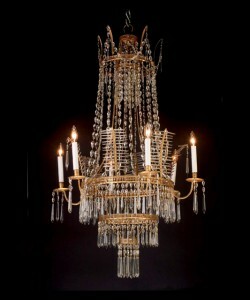 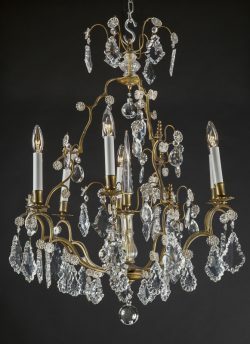 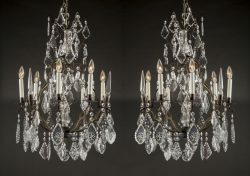 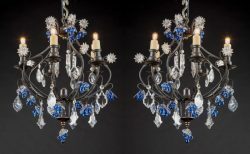 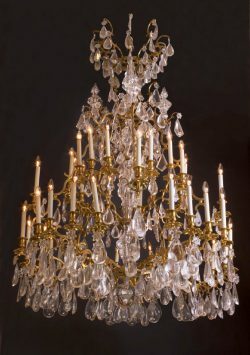 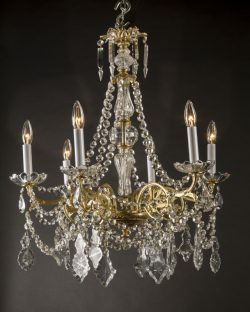 French 20th century Louis XVI style bronze and crystal chandelier with crystal bobeches. 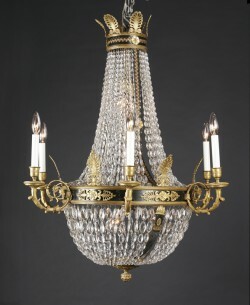 French Louis XVI style bronze & crystal single tier chandelier. 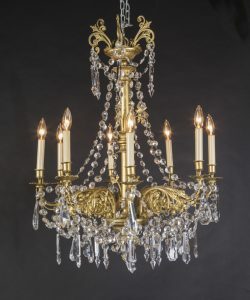 Select an item or section title to search. 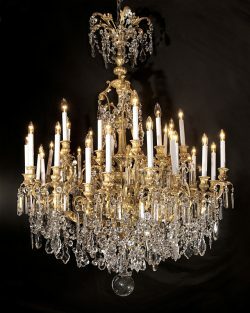 Select the + next to a title to add to current search.